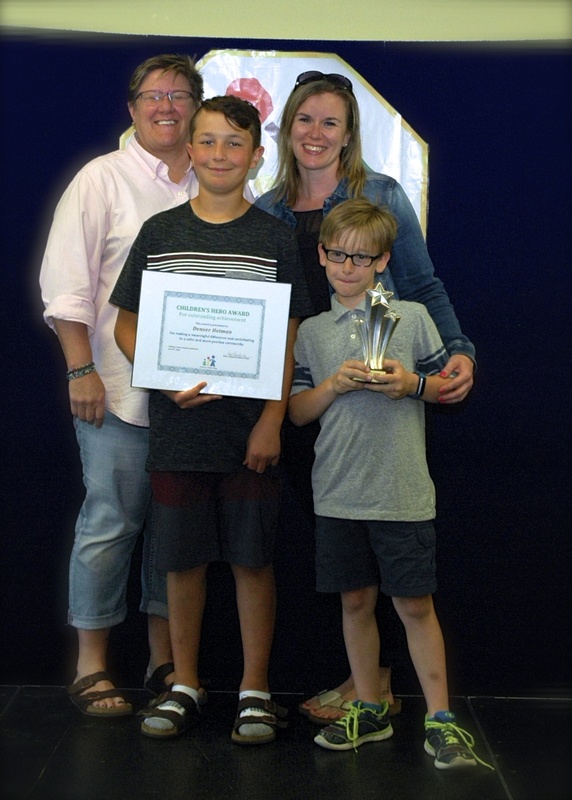 On June 9th at the Annual Children’s Hero Awards, Denver Heiman was recognized as a Hero. Here is Denver’s story. On May 8th, while walking home from school, Denver saved a grade 4 student from being seriously injured by a passing car. 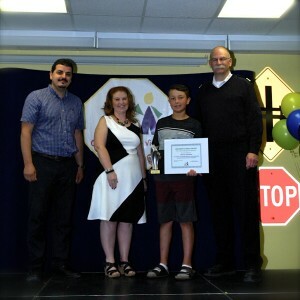 The grade 4 student, Rogan Cormier, was riding his bike across the road when Denver saw a car coming down the street, not stopping. Denver grabbed the Rogan by his backpack, slowing him down enough that only the front tire of his bike was hit by the car. The impact did knock him down, but saved him from serious injury. Denver then stayed with Rogan until the ambulance arrived and even went to his house later that night to make sure he was OK. In attendance at the Hero Awards, was Denver’s principal Ms Santomero, who nominated him for this award. Also in attendance was Rogan and his mom Kinga. Denver’s award was sponsored by Kitchener Utilities.